A licensed practical nurse plays a critical role in the provision of quality, evidenced-based, patient-centered care to vulnerable groups in society. Although they fall below registered nurses in the nursing hierarchy, LPNs are licensed professionals who also share in the commitment to providing safe, quality, and cost-effective care to all patients. They are essential partners, with the rest of the nursing fraternity and other licensed medical professions, in meeting the complex needs of patients. Idaho’s Nurse Practice Act regulates the type of care LPNs can provide and the way in which RNs may direct their practice. State-licensed nurses must understand the act as it relates to their contributions to their assessment, care planning, supervision, and delegation under the guidance of registered nurses and licensed physicians. The LPN workforce plays an essential role in the delivery of culturally sensitive health care to vulnerable groups. Through continuing education, made possible by bridge programs, LPNs can earn advanced degrees and assume varied roles in healthcare. The practical nursing program follows a specific sequence of instruction to prepare students for a career as a practical nurse. The pre-licensure program builds on students’ prior education, skills, and experience as a CNA – although, persons with no prior skills may apply for the program. The curriculum utilizes classroom, laboratory, and clinical instruction to prepare students for the fast-paced medical environment. Classroom lectures cover the foundational topics in physical and social sciences, which help students understand the science of nursing. Program content includes medical terminology, medical-surgical nursing, introduction to anatomy and physiology, nutrition for health professionals, introduction to general psychology, medication administration, intravenous therapy for the practical nurse, drug therapy for the practical nurse, family nursing, management for practical nurses, nursing care for seniors, and transition to practice. The program will seek to develop students’ critical thinking skills and focus on advocacy, leadership, collaboration, professionalism, and compassionate care. The mandatory clinical experience is an integral component of the learning process. Students provide nursing care in a variety of settings, utilizing the practical nursing values and standards taught in the classroom. Faculty ensure students apply critical thinking skills to deliver safe and effective care, communication skills to promote patient education and improve patient outcomes, and demonstrate respect for humanity. To be eligible for admission, applicants must pass the TEAS V test, submit a completed application to the program (separate from the application for the college), submit high school and college transcripts, provide two professional references, provide evidence of mental and physical eligibility – criminal background check, current physical, immunization, health insurance, drug screen, and AHA Healthcare Provider CPR. Most schools require prerequisite courses in chemistry and biology and current Idaho CNA certification. Graduates are eligible to take the NCLEX-PN for state licensure. The Board of Nursing makes the final decision on the graduate nurse’s eligibility to take the exam. Duration and Cost of Training: The projected cost of completing a 12-month practical nursing program in Idaho is $17,000 for tuition based on full-time enrollment. Where available, part-time training will cost more. The prerequisite courses and CNA certification required for admission is not included in the cost of the program. Expenses for textbooks, uniform, clinical supplies, lab supplies, drug screening, vaccination, TB skin test, CPR, physical exam, licensure exam, insurance, and transport to the clinical sites are the student’s responsibility. Students can apply for financial aid, grants, scholarships, and loans to help financial the cost of the program. New PN graduates must apply to the Board of Nursing for licensure by examination before they begin practicing. The computer adaptive licensing exam is a national exam developed by the National Council of State Boards of Nursing to test graduates’ knowledge, skills, and abilities to deliver safe and competent care as a part of the healthcare team. Pearson Vue is the chosen testing service to deliver the exam in Idaho and other states and territories. Register for the exam at the same time you submit an application to the Board. Pearson Vue facilities easy registration online or by phone (1.866.496.2539). Do not register until you have a valid email set up to receive communications from Pearson Vue, and a valid credit or debit care to pay the $200 registration fee during the process. The Board makes you eligible to take the exam after reviewing your completed application, fee, nursing transcript, and fingerprint card. Pearson Vue will issue the Authorization to Test (ATT), to the email address provided, within 2 days of confirmation from the Board. With the information on the ATT, you can schedule a date for the exam. The letter contains your authorization number, candidate ID, personal information submitted during registration, and validity dates. The ATT is valid for 90 days only and cannot be extended for any reason. If, for some reason, your information on the letter does not match your ID, contact the testing service to make the necessary changes. You will not be allowed to take the test if the information does not match. Exam results are generally mailed from the Board’s office to your address provided within 10 days after taking the test. Pearson Vue offers the Quick Results Service for a fee of $7.95 if you register for it. The Quick Results does not authorize you to begin practicing. If you fail the exam, you must re-register (at any time) but you must wait 45 days before re-taking the exam. Idaho’s nursing licensure law requires nurses to obtain a license before practicing in the state. It is illegal to begin employment without a renewal or temporary permit. Offenders may be punishable by fines or denial of a state license. The Board will issue a temporary license to graduate nurses who submit a completed application for a license. Endorsement candidates may also qualify after submitting a completed application and verification of licensure in another jurisdiction. The temporary permit is valid for the interim period of 90 days while the Board processes the application for permanent licensure. Idaho adopted the Nurse Licensure Compact in 2001, allowing licensed nurses the privilege of practicing in other compact states within applying for an additional license. LPNs can hold a valid multi-state license in one compact state only – that is, their primary state of residence. Applicants who declare Idaho as their primary state of residence will receive a multi-state license. All others will receive a single-state license. 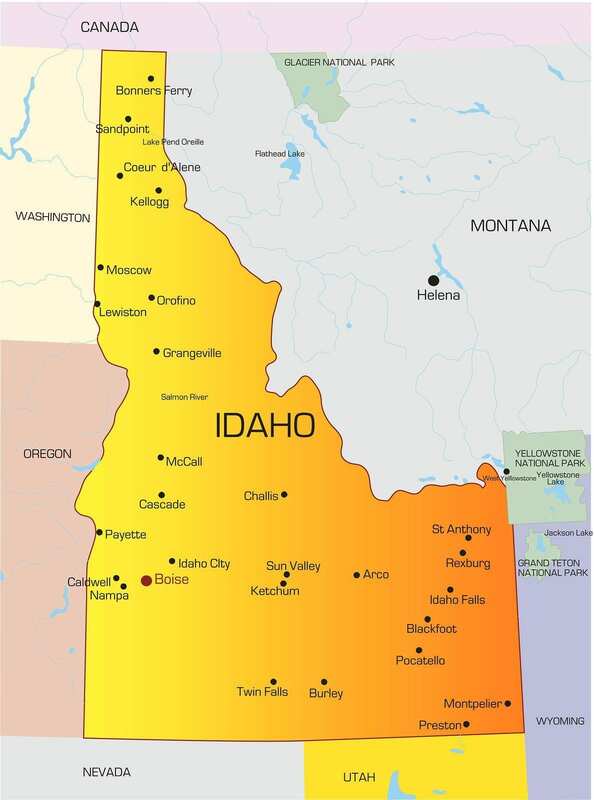 LPNs with a multi-state unencumbered license issued by another compact state may practice in Idaho and adhere to state laws governing the practice of nursing. All applicants for licensure must consent to a fingerprint-based criminal background check conducted by the Idaho Central Criminal Database and Federal Bureau of Investigation criminal history database. Applicants should request fingerprint cards from the Board’s office. A completed, signed and notarized application for licensure by examination. Provide an explanation for each unanswered question. A 2” x 2” or 2” x 3” photo attached to the application form. Licensure fee of $75 – pay using a check or money order payable to Idaho Board of Nursing. The licensure fee is non-refundable. Affidavit of Graduation completed by the director of nursing at the school where you acquired your nursing education. The director should return the completed form directly to the Board of Nursing. Fingerprint card for a fingerprint-based criminal background check. Request the card from the Board’s office. Submit $42 for the fingerprint processing. The total will be $117 inclusive of the licensure fee. Complete the Non-Criminal Justice Applicant Privacy Status with the application. Request for temporary licensure if you would like to work while the Board processes your application. Include an additional $25 (total $142) for the temporary permit. The temporary permit is valid for 90 days. The permit to work will cease immediately if the candidate fails the NCLEX. Board rules require nurse graduates, working on a temporary license, to work under the direct supervision of a registered nurse. The graduate nurse cannot assume charge responsibilities while working under a temporary permit. Applications may take up to 10 weeks to process. The processing time for temporary licenses is 10 to 30 days. Licensure by endorsement is available for LPNs, who hold a current, active nursing license in another non-compact jurisdiction. LPNs with a multi-state license from a compact state may work in Idaho for a period of 90 days without submitting an application for licensure. A completed, signed and notarized application for licensure by endorsement. Provide an explanation for each unanswered question. Licensure fee of $110 – pay using a check or money order payable to Idaho Board of Nursing. The licensure fee is non-refundable. A completed verification form which verifies that you received your license after successful passage of a licensure exam or use the Nursys form enclosed in the application and submit it to the National Council of State Boards of Nursing for processing. The Board can issue a temporary permit (optional) after receiving confirmation of your license. Verification of employment. Request an employment reference from employers that you worked with for a three-year period preceding the application. The employer should mail or fax the application directly to the Board’s office. A completed declaration of state of residence attesting to your primary state of residency. The Department will issue a temporary permit after receiving confirmation of your license by examination from another jurisdiction. The permit will expire in 90 days. Licenses expire biennially on August 31 of even-numbered years for licensed practical nurses. The Board facilitates online renewal. However, if your license has lapsed for more than one year or your primary state of residence is another compact state, you should not renew your license online. The renewal fee before the expiration date is $90 payable by American Express, Discover, Visa, or MasterCard. Licenses may be renewed online up to three (3) months before the license expires and up to one year after the expiration date. For renewal requests submitted after the August 31, a late fee will be assessed. Paper renewal is available for those who are unable to renew online. Contact the Board’s office to request an application to renew your license. Significant changes in the healthcare sector influence LPN employment. According to a 2014 report from the Bureau of Labor Statistics, employment for LPNs is expected to grow 25 percent by the year 2020, a growth rate that is faster than the average for all occupations. The report reveals a bright future for this profession. However, prospective LPNs should consider the gradual shift from acute care settings to long-term care and community-based settings. The majority of newly licensed PNs will find work in long-term care facilities or community-based or ambulatory care facilities. A small percentage (approximately 12 percent) will be fortunate to land jobs in hospitals. The aging of the Baby Boomer population, who account for 20 percent of the total U.S. population, will increase the demands on the health care system. 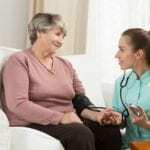 Their considerable need for long-term care for chronic diseases will increase the demands for care in settings outside of the acute care environment. The Affordable Care Act intensifies this growing trend as seniors, and low-income families have greater access to care. There is, and will be, a continuous need for LPNs to meet the needs of older adults and vulnerable groups in nursing homes. In community settings, where seniors and ventilator-dependent children are primary residents, there is a huge demand for the capable and professional care of LPNs. In Idaho, close to 70 percent of the licensed care in nursing homes and community settings are provided by LPNs. LPNs also tend to patients in physicians’ offices, children’s homes, home health agencies, schools, and prisons. In physicians’ offices and nursing homes, they may perform administrative duties in addition to their duties as a nurse. The yearly median wage for LPN in Idaho was $39,430 in 2014 according to the BLS. There are approximately 2,650 practicing LPNs in the state. For anyone thinking about becoming an LPN, don’t do it. Go for your BSN instead. I’ve been an LPN in Idaho for 20 years and have been essentially fazed out of everywhere. Hospitals want RNs and clinics want MAs. Love what I do though and wouldn’t change that. Yes they have been fazed out of acute care setting, but consider this. By earning your LPN, you can work in extended care for a higher wage than minimum, continue to go to school to work on your RN degree. Most people must work at least part time while going to school, so why not make more money while doing it. Then not to mention the best RN’s that I have worked with in my career started out as LPN’s. They have better critical thinking skills, and better clinical skills. In my opinion Hospital made a big mistake when they fazed out LPN’s in the acute care setting. Really??? They want you to take L.P.N. training?? What they don’t tell you is that absolutely no one wants to hire L.P.N.’s anymore. They want Medical Assistants.., that way they can pay them less for doing the same work. I graduated from nursing school in 1976. I let my nursing license expire when I moved to Idaho three years ago. No one wants L.P.N.’s. I worked in a laundry for a year. Now I’m a school bus driver. Well that is not true. I am 58 been a nurse for 30 years just got hired by the VA which is a nice government job with lots of benefits and I work part time at a care center for good wages and they have shortage of LPNs. Unfortunately, it IS true. I don’t live in an area large enough to have a VA, and in every town I have lived in for the past 36 years, and every hospital I’ve worked in since that time, they did NOT hire L.P.N.’s. I went into medical transcription instead, because there were no L.P.N. jobs. LPN is a good starting point, especially if you can’t afford to go for your RN at first. I worked as an LPN for six years, next got my RN, then my BSN. Madison Memorial still hires a few LPN’s; they are some of our best nurses!